As many of you should know, today is Valentine’s Day. So this week’s question is: Who was the last serious candidate to run for the House, the Senate and the Presidency, who was born on Valentine’s Day, February 14th? Submit your answer in the box below. We’ll pick a winner at random from the bunch. The winner will get a fabulous Political Junkie button. Don’t forget, you can get the trivia question a whole day early by simply liking our Political Junkie page on Facebook. We post the question every Wednesday. You can sign up for our Political Junkie newsletter, too. You’ll get all the latest from Team PJ every weekend, no spam, no interceptions. As for last week’s question: We know that Russell Wilson is the first African-American quarterback to win and lose in back-to-back Super Bowls. But who was the first African-American politician to win and lose in back-to-back Senate races? The answer? 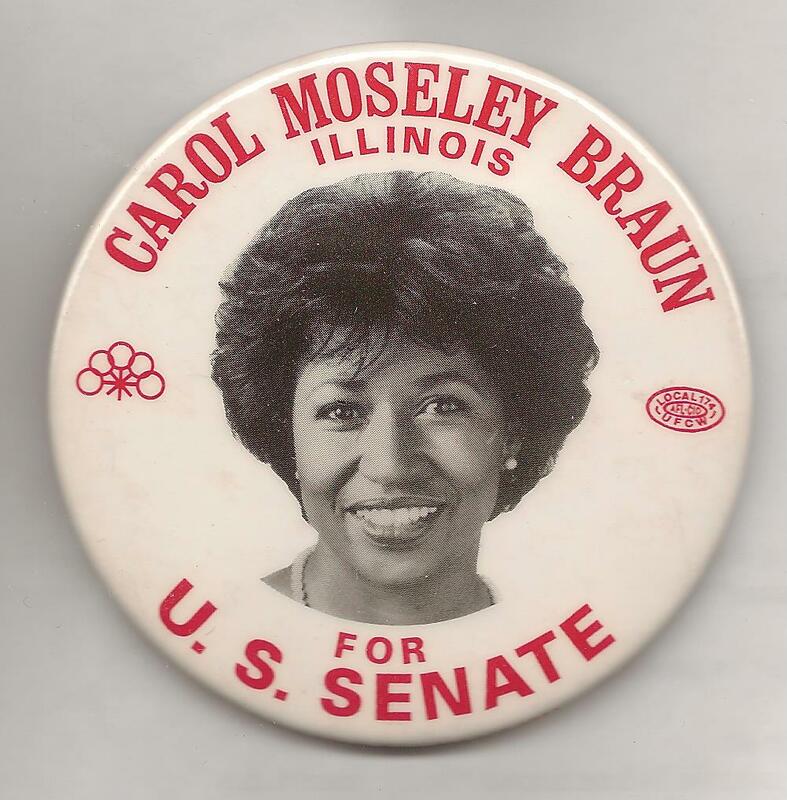 Carol Moseley Braun. A Democrat from Illinois and the first and only black woman ever elected to the Senate, she won her seat in 1992 and lost it in her bid for a second term in 1998. And the winner is … Jesse Walker of Huntington, W.Va. What does Jesse want, as we used to say? Well, he gets the coveted Political Junkie button! Congrats, Jesse.